On January 28, 1948, an F8F-1 Bearcat, (Bu. No. 95260), took off from the flight deck of the aircraft carrier U.S.S. 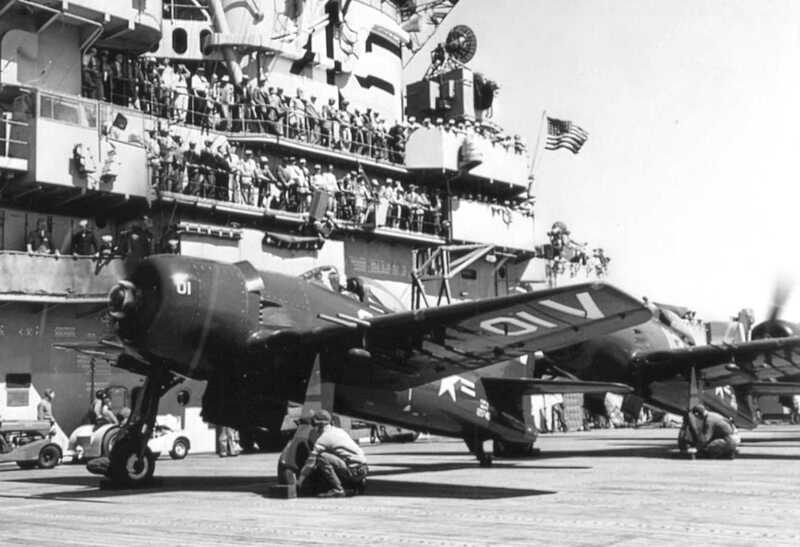 Leyte, (CV-32), bound for the Quonset Point Naval Air Station in Rhode Island. Thirty minutes later, as the aircraft approached the air station, the pilot noticed that the controls were not responding properly. He was advised to climb to 2,000 feet where he went into a holding pattern to try to determine the cause. No cause could be found, so he was cleared land. Unknown to the pilot was the fact that a thin layer of ice had formed on the runway and when the aircraft touched down it slid off the runway and into a snowbank where it cartwheeled before coming to rest. The pilot was not seriously injured, but the aircraft sustained substantial damage.